We Are All Made of Stars?is an unforgettable story about second chances, the power of words, and the resilience of the heart. 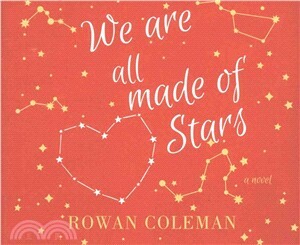 Rowan Coleman?has written five novels for adults;?We Are All Made of Stars?is her first novel for teens. Rowan Coleman lives in Hertfordshire, England, with her husband, Erol, and their daughter, Lily.